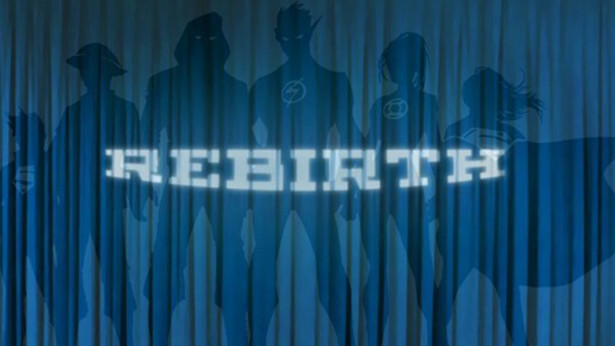 DC Comics revealed their much-teased "Rebirth" of their entire line that is more of a relaunch (don't call it a reboot) keeping the current contuinity in place. It all begins in May with an 80-page "DC Universe: Rebirth" #1 penned by Geoff Johns and cryptically begins with “I love this world… But there’s something missing…” At $2.99 it's a bargain but it's also the new cover price for all titles going forward. Next, "Rebirth" specials will follow then new #1's of ongoing titles including monthly and now biweeklies will roll out throughout the summer. Only "Detective Comics" and "Action Comics" will retain their original numbering. At WonderCon in Los Angeles, CA on Saturday, March 26 a special event will reveal all talent and creative teams for the upcoming titles. You can live-stream the conference on DC Entertainment’s YouTube channel and gett all the official details surrounding REBIRTH. Comic Book Resources has video from the ComicsPRO Annual Membership meeting in Portland where DC Entertainment Chief Creative Officer Geoff Johns officially announced the perameters of the REBIRTH initiative to those in attendance. "The whole point of 'Rebirth,' for all of us, is to get back to the essence of the characters," Johns says in the video. "In the 'DC Universe: Rebirth' special, the very first couple lines in it sum up what this is to me. There's a picture of the world, and the mysterious narrator says, 'I love this world, but there's something missing.'" Johns spoke in greater detail about the "Rebirth" plan in a one-on-one interview with CBR News.